It was always going to end this way. The Warriors can shoot and outscore teams, and the Warriors can ruin teams with defense. They can go small with Draymond at center, they can go big and rotate Festus Ezeli with Andrew Bogut. They can go fast, or they can go warp speed. They are basically unbeatable at home, and they might be even better on the road. They can win 79 games with one lineup, and then they can go down a game in the NBA Finals, reinvent their entire rotation, and go win the title. After a playoffs colored by injuries and exhaustion, it’s perfect that the last team standing is the one able to adapt to anything. It’s also perfect that the MVP went to Andre Iguodala, not LeBron James or Steph Curry. It would have been lame if LeBron had won MVP. What he did was legendary enough without some token award congratulating him. Even in defeat, his performance is probably more memorable than anything else from this series. And it wouldn’t have felt right to give it to Curry, either. The Warriors didn’t win this series because they had the best player; they won because their team was much closer to Iguodala’s identity than to Steph’s. That’s what these Finals taught us more than anything else. Think about it: Smart, selfless, relentless on D, murderous in transition, streaky on offense, and versatile enough to play just about any position you need. 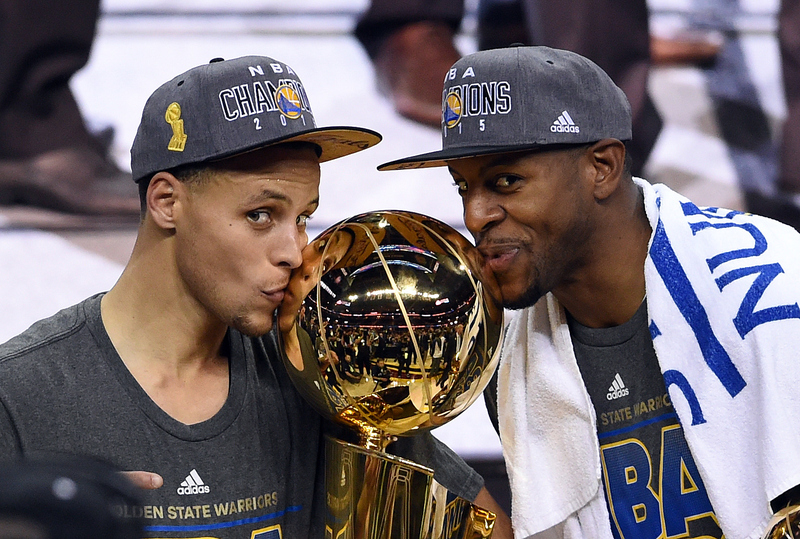 Andre Iguodala is the 2015 Warriors. Draymond Green was the linchpin to the defense and offense all year, and after falling apart in the first three games of these Finals, he bounced back to average 16, nine, and seven over the final three games. Andrew Bogut may have basically sat the final three games, but only after protecting the rim and rebounding all season, making passes that freed up the guards to play off the ball. Festus Ezeli started the year as the young big man who could spell Bogut with energy. Then, as if the Warriors weren’t deep enough already, he somehow turned into one of the best backup centers in the league over the past six months. Klay Thompson is either an overrated superstar or the most overqualified role player in the league, but either way, he’s on the Warriors, so it’s cool. It was perfectly fine for Klay to explode once every few games and play great defense in between. Harrison Barnes was the poor man’s Klay Thompson on offense, with more athleticism on defense and a little bonus rebounding. Shaun Livingston was the guard who allowed them to go small without actually getting any smaller. Leandro Barbosa was the guard who allowed them to go small and get twice as fast. Steve Kerr called the shots. Steph Curry made the shots. Steph only looked like the MVP for all of one quarter in this series. The defense wasn’t saving them when his shots weren’t falling. Kerr’s creative lineup change wouldn’t have mattered if Draymond had continued struggling. You can go down the list with things that didn’t click for Golden State in the NBA Finals. But what makes the Warriors amazing is their ability to win even when half of what they do well isn’t working. They stayed healthy — luck was as important as any skill this spring — and that allowed them to beat teams in so many different ways. We watched them weather storm after storm in these playoffs — from comebacks against Anthony Davis, to the Grizzlies series, to Harrison Barnes in Game 5 against the Rockets, to Iguodala unleashed on the Cavs. No matter what went wrong, they had an answer for every team they played. It goes back to something Brian Windhorst told Bill Simmons after Kevin Love got hurt. He said that Love’s injury meant, more than anything else, that the Cavs had less margin for error. They could still win a title, but role players had to step up for Cleveland to have a chance. LeBron had to be great in every game. Kyrie had to stay healthy. Almost all of that actually happened, but as the Finals unfolded, it all finally unraveled. A lot of playoff teams had to walk the same kind of tightrope. The Clippers needed great games from their top three or four players to have a chance in any playoff game, and eventually those guys got tired. The Spurs needed Tim Duncan to play like he was 10 years younger, and Patty Mills to play like he was Tony Parker. The Rockets needed James Harden to drop 40 to have any hope of keeping up in the conference finals. The Hawks needed a lot more than they got from their starters. The Wizards needed John Wall to stay healthy, 3-pointers to fall, and at least one big man to show up. The Grizzlies had to get great games from Z-Bo and Marc Gasol, keep Tony Allen and Mike Conley healthy, and get out-of-body bad shooting nights from Steph to have a chance. For a second there, that plan almost worked for Memphis. But everyone fell off the tightrope eventually. 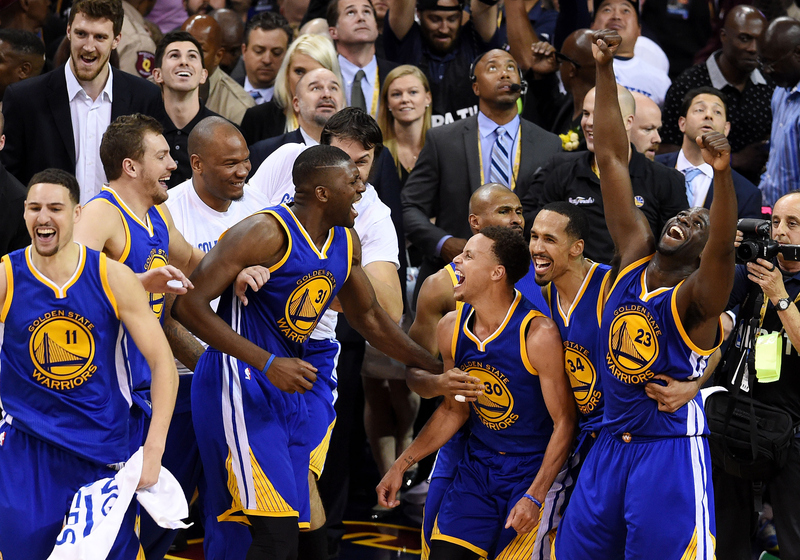 Next to all that, nobody had a wider margin for error than the Warriors. It’s like every other team was a twin engine prop plane, desperately hoping to keep everything running smoothly — and then Golden State was one of those military cargo planes. Oh, Klay’s quiet and we lost an engine? We’ll just use one of the eight others we have here. Now that they’ve won, people will try to glean lessons for the future, and there are definitely some to take — whether it’s the value of two-way stars like Klay and Draymond, the importance of a deep bench with versatile veterans like Livingston, or the difference a smart coach can make. Flexibility is important in today’s NBA, and so are flexible coaches. But I don’t know if this is a real blueprint for winning the NBA title. For one thing, if Kevin Love and Kyrie Irving had been healthy, there’s a decent chance we could be praising superstars who were so good that role players didn’t matter. If Kevin Durant had been healthy this year, maybe it would have been the same story with the Thunder. Anthony Davis will be a monster soon, and that’ll come with its own set of consequences for the league. And even against the deepest, most versatile team in the NBA, LeBron was almost good enough to win this series with 35 shots per game and Tristan Thompson as his personal rebounder. There are lots of different ways to win a title. But as superstars move all over the league and new powerhouses emerge, this one isn’t going away. Golden State is our new rival for Durant and LeBron. They’re a little bit like the Spurs, but with younger, scarier weapons. It’ll be fun to watch them grow and deal with more adversity. They’ve passed every test so far. Really, the biggest reason Golden State’s not a blueprint for future title teams is that these parts don’t exist anywhere else. Want to hit transition 3s like the Warriors? Get the greatest shooter ever. Want to space the floor and score and also have the best defense? Get Draymond Green — he will get a lot of crappy undersize big men paid the next few years, but almost none of them will be capable of hitting 3s, passing, penetrating, and locking down three positions on defense. Or there’s Harrison Barnes, the starter on a rookie deal, platooning with Andre Iguodala, the Finals MVP who was willing to come off the bench. Even finding someone like Ezeli is such a stroke of luck that it’s crazy to think anyone can duplicate it. Oh, and if you want to make sweeping adjustments that swing the balance of the NBA Finals? Good luck finding your own Steve Kerr, not to mention Ron Adams and Alvin Gentry and that 28-year-old. It all could have gone wrong if Curry’s ankles hadn’t held up. It all could have gone wrong if they’d signed Dwight Howard before they could trade for Iguodala. It all could have gone wrong if Flip Saunders had taken that offer of Draymond and Harrison Barnes for Kevin Love. But none of it ever went wrong. One stroke of luck and/or brilliance at a time, it all came together perfectly, right down to Kerr’s lineup change in Game 4. And here we are.